If you’re out riding or between motos and feel your energy crashing, having an energy or sports drink on hand to turn to can be a perfect solution. It can also be a downright disaster if you choose the wrong one. 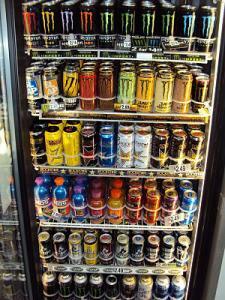 Energy and sports drinks come in many different shapes and sizes, some good and some not so good. Learning the key ingredients to look for in energy and sports drinks is essential because some are downright hazardous to your health. In this first of three-part feature, we will look at the top ten ingredients to look for in any energy or sports drink and inform you why these specific ingredients are beneficial. In part two of the feature, we will warn you of the five energy and sports drinks you should absolutely avoid at all costs! In the final part of the feature, we will look at the top five energy and sports drink you should definitely consider when selecting your next drink and explain what makes our top five excellent choices. As your body sweats, you’re going to lose key electrolytes that are required in order to maintain proper muscle contractions. This includes sodium, potassium, calcium, magnesium, chloride, as well as phosphate and bicarbonate. 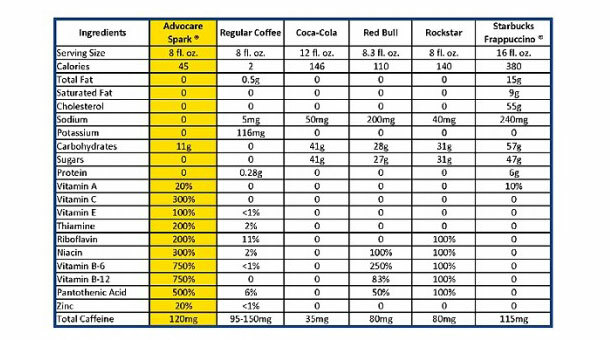 If you can find a drink that has at least sodium and potassium added (the two most important electrolytes), you should be pretty well off. If you can find one that has additional electrolytes, you’ll be ahead of the game. In order to stay energized, carbohydrates are the thing to look for. Carbohydrates provide glucose, which is the main source of fuel your muscles run on. As you use up your glucose stores, it is vital that you replenish them. Without enough, your performance will immediately suffer. One word of caution on carbohydrates is to watch the amount of simple carbohydrates (sugar). Too many simple carbohydrates can cause a negative effect on energy levels, with a quick spike in energy then a crash, leaving you feeling more tired than before. You’ll often find B-vitamins in energy-shot types of drinks as these are key nutrients that foster the energy release process. Without enough B-vitamins, your body is not able to effectively convert carbohydrates into usable energy, so it’s essential to get them in. L-Tyrosine is a specific amino acid that is utilized to make adrenaline, which increases your heart rate and keeps you alert as well as dopamine, which can also help to reduce stress. Both of these responses will be key in optimal performance. The addition of L-Carnosine to sports drinks has been shown to increase your strength and endurance level while enhancing oxygen delivery to the muscle tissues. It’s not one nutrient to be missing out on. Another ingredient that’s great to have in your sports drink is L-Carnitine. This nutrient will help to promote fat metabolism and allow you to train at a higher intensity level than normal. In addition to that, it can also help to keep you more mentally alert and ensure your mind is focused on your performance. With strenuous exercise comes free radical damage to the body and antioxidants can help to prevent this. Antioxidants are going to defend against free radical damage to keep your body in an optimal state of health. Each and every time you perform a workout session, you’re going to create small tears in the muscle tissues. Some protein will help to protect and rebuild these tears back up, allowing you to become stronger than you were before. It’s a must for any successful training session. In order to quickly be able to utilize the nutrients that your energy drink is providing you, digestive enzymes will help. These enzymes will ensure the body breaks down the above listed nutrients more effectively, so you see benefits almost instantly. Finally, the addition of Citrulline to the drink can help cause blood vessel dilation, which will increase the amount of blood flow, and therefore oxygen, to the muscle cells. This decreases the amount of fatigue you feel and allows you to work as hard as possible. So look over your favorite energy or sports drink and see how many of these key nutrients are in it. Depending on which drink you’re drinking, you might be surprised to see that you just may be doing more harm than good. In the following articles I’ll list which drinks to avoid at all costs and which ones I highly recommend.